This month, our group will read "It's All Relative: Adventures Up and Down the World's Family Tree" by AJ Jacobs for All Alexandria Reads! Every April, the Duncan Book Discussion Group reads the All Alexandria Reads choice for that year. 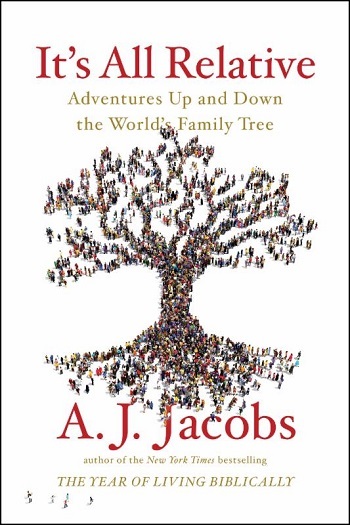 This year, AAR's adult pick is It's All Relative: Adventures Up and Down the World's Family Tree by AJ Jacobs.